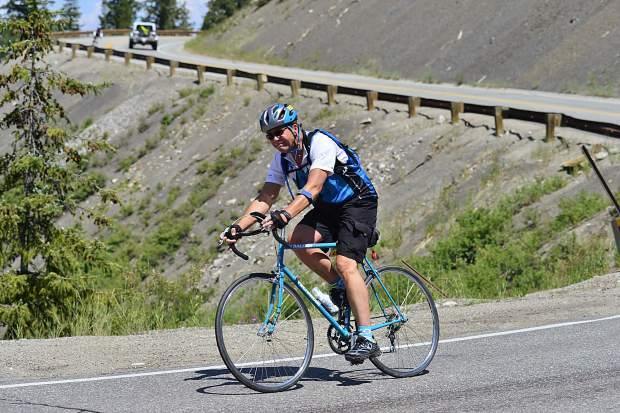 Rider cruises down Swam Mountain during the 29th Courage Classic on Sunday, July 23. 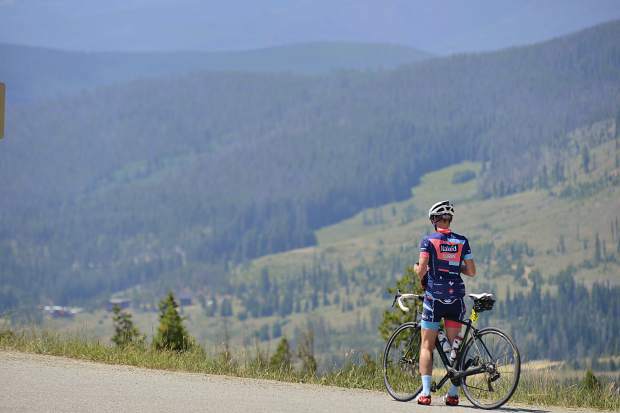 A rider takes a break atop Swam Mountain on Sunday, July 23, during the Courage Classic. 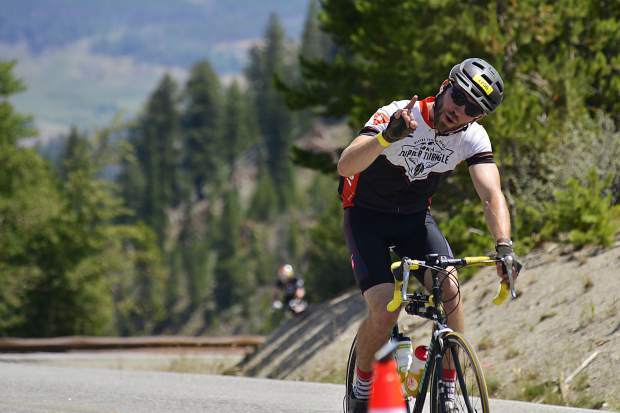 A rider comes to the top of Swam Mountain on Sunday, July 23, during the Courage Classic. 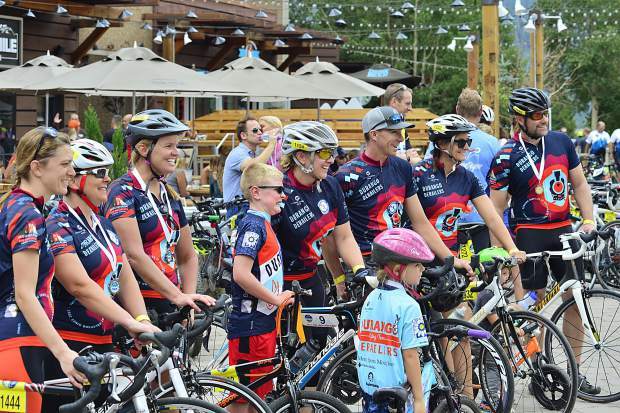 Riders participate in the 29th Courage Classic on Sunday, July 23, at Copper Mountain. 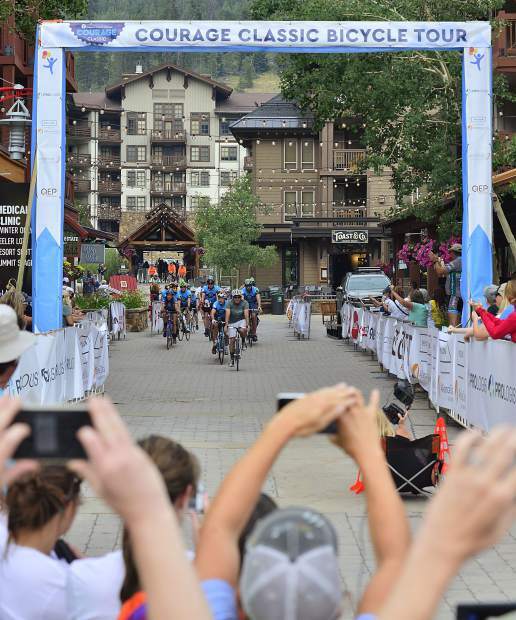 Riders finish the 29th Courage Classic on Sunday, July 23, at Copper Mountain. 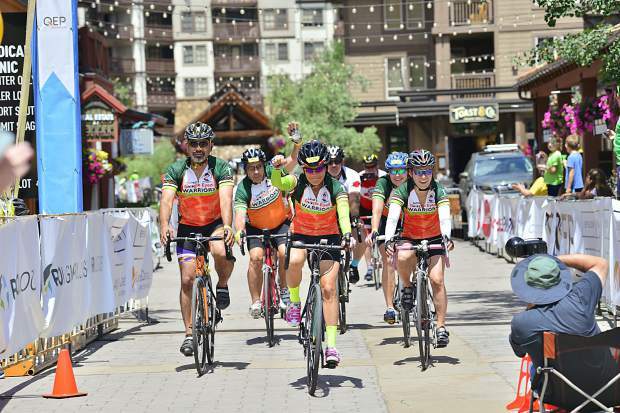 Riders finish the 29th Courage Classic on Sunday, July 23, at Copper Mountain..
Riders pose for a team photo in the 29th Courage Classic on Sunday, July 23, at Copper Mountain. 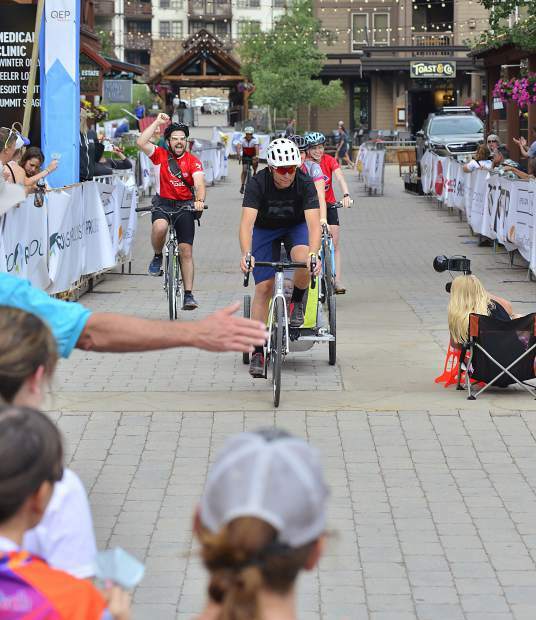 Brandon Nuechterlein, center, his sister Amber Dunlap and her husband Bradley Dunlap finish the 29th Courage Classic on Sunday at Copper Mountain. 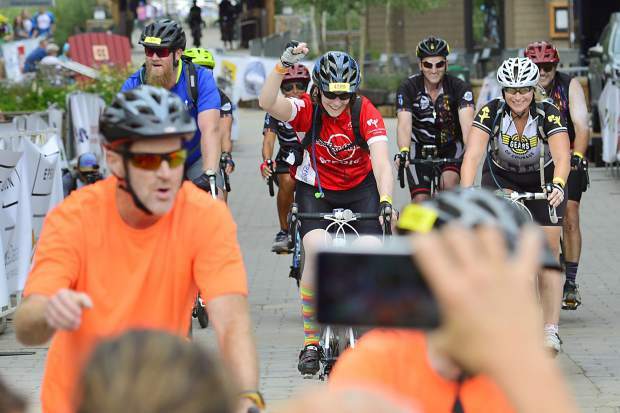 The two-day bicycle tour is the single-biggest fundraising event for Children’s Hospital Colorado and organizers said they believed they’d surpass the $2.8 million goal this time around. 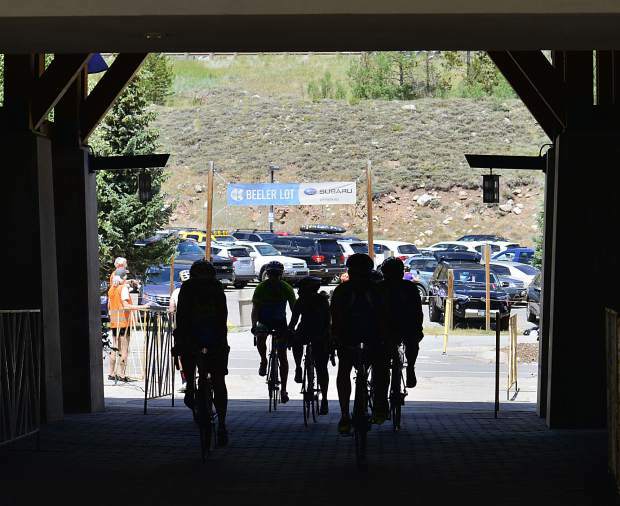 Riders cross the finishing at the 29th Courage Classic on Sunday at Copper Mountain. 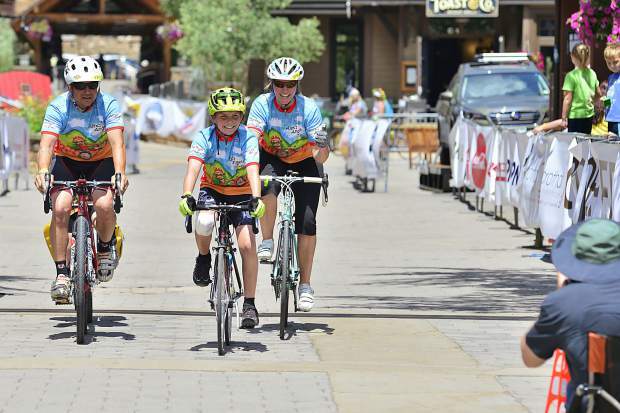 The annual two-day bicycle tour is the single-biggest fundraiser of the year for Children’s Hospital Colorado. 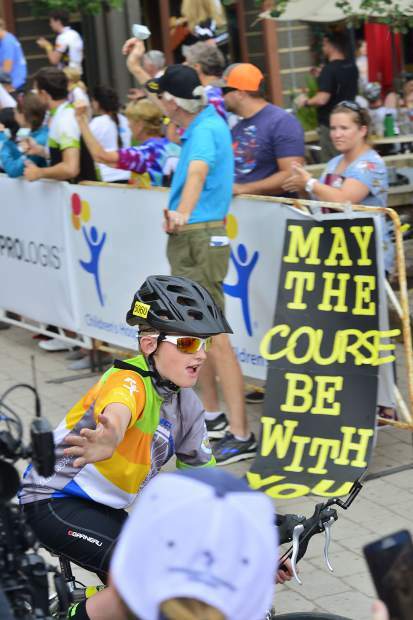 One of the roughly 2,000 participants at last weekend’s Courage Classic gets high-fives after crossing the finish line on Sunday. 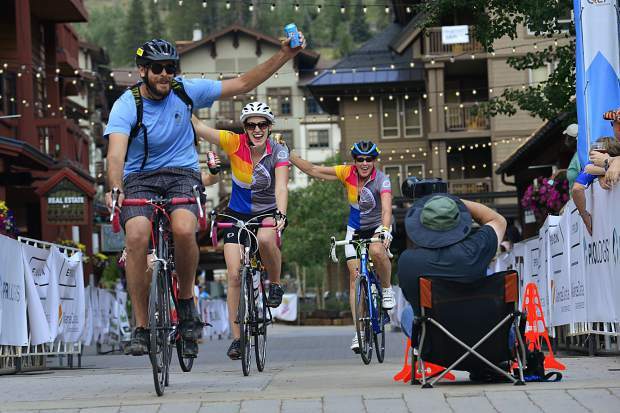 The classic is a two-day bicycle tour starting each day at Copper Mountain that support Children’s Hospital Colorado. 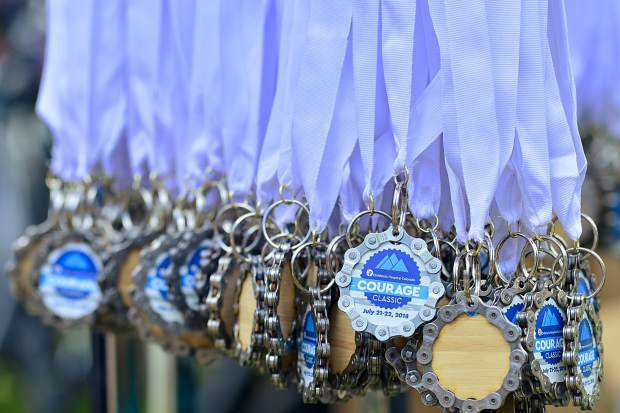 Medals were given out to every participant in the Courage Classic, a two-day bike tour at Copper Mountain in support of Children’s Hospital Colorado. 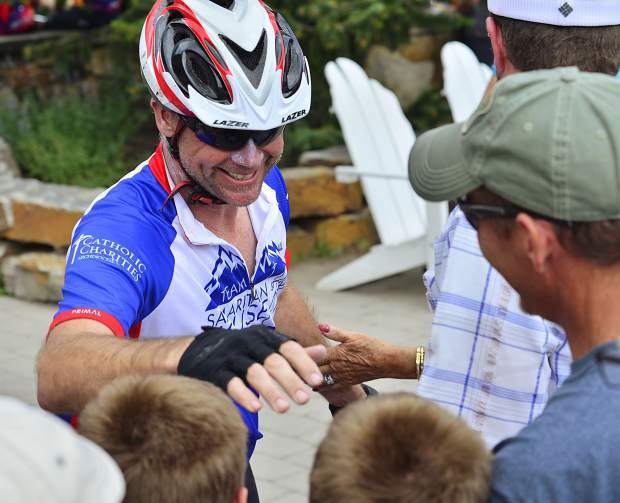 One of the participants in the Courage Classic gets hugs from his supporters after crossing the finish line on Sunday at Copper Mountain. 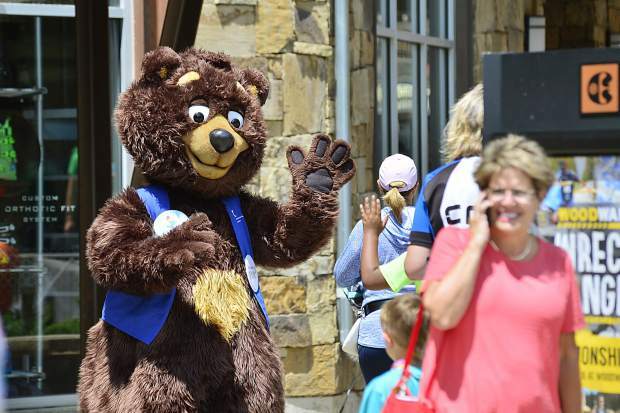 The mascot for Children’s Hospital Colorado works the scene Sunday at Copper Mountain during the 29th Courage Classic. 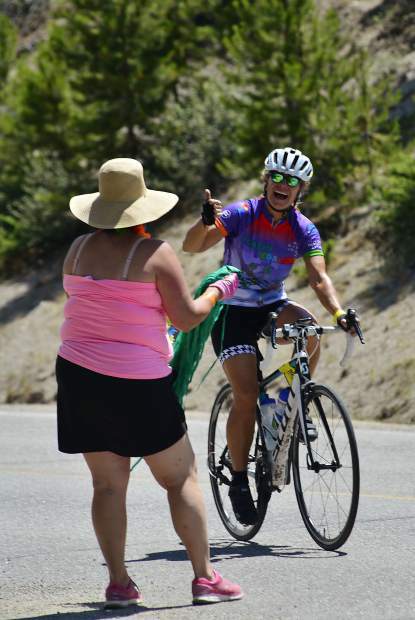 A former employee at Children’s Hospital Colorado, Anna Maria Chiafalo cheers on the riders Sunday as they summit Swan Mountain. 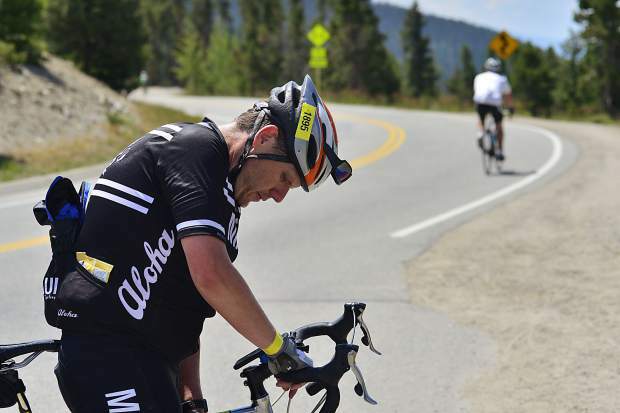 Aaron Svoboda takes a break after reaching the top of Swan Mountain on Sunday during the Courage Classic, a two-day bicycle tour in support of Children’s Hospital Colorado. 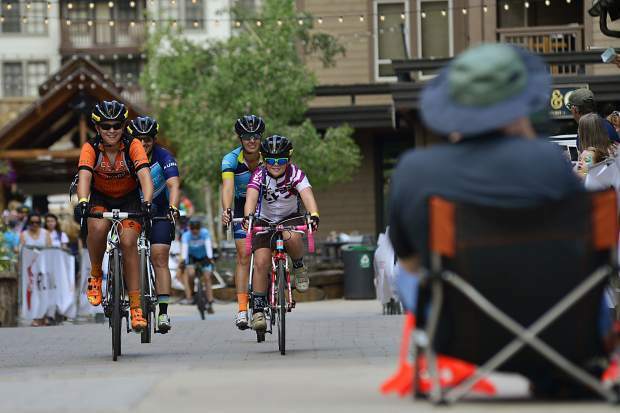 Riding a bicycle 150 miles over a weekend is easy compared to what a family faces when a loved one has cancer, said Amber Dunlap on Sunday when completed the 29th Courage Classic, her sixth tour. 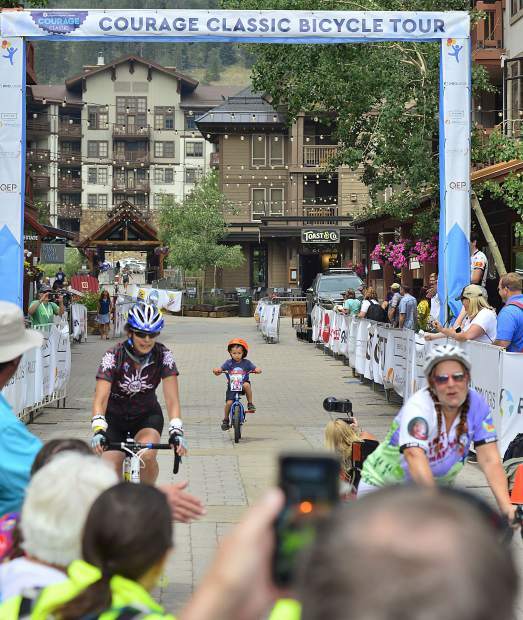 The Courage Classic is an annual two-day bicycle tour at Copper Mountain in support of Children’s Hospital Colorado. 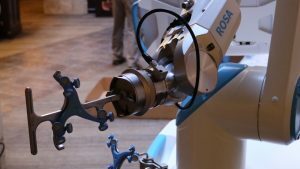 Around 2,000 people participated this weekend. No times were kept, no trophies awarded and organizers were quick to correct anyone who called it a race because everyone got a medal at the finish line. 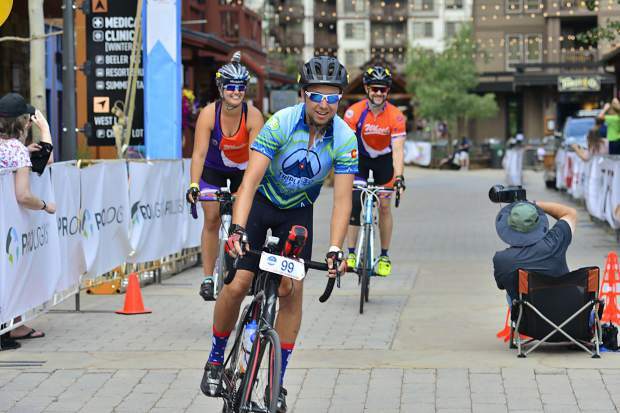 While the Courage Classic isn’t a race, the two-day tour stands as the hospital’s single-biggest fundraiser of the year, asking people to form teams and drum up money in support of the hospital and the people who seek care there. 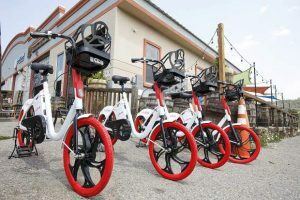 Different courses are offered to create an assortment of routes appropriate for riders of varying abilities, including children who’ve been patients, or currently are patients, at the hospital. 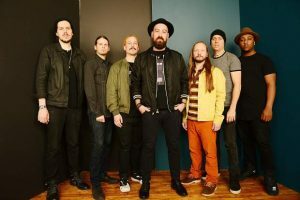 Leading into this weekend, the Courage tour had generated more than $42 million in support of the children’s hospital, said Erin Bodine, marketing communications manager for the Children’s Hospital Colorado Foundation. 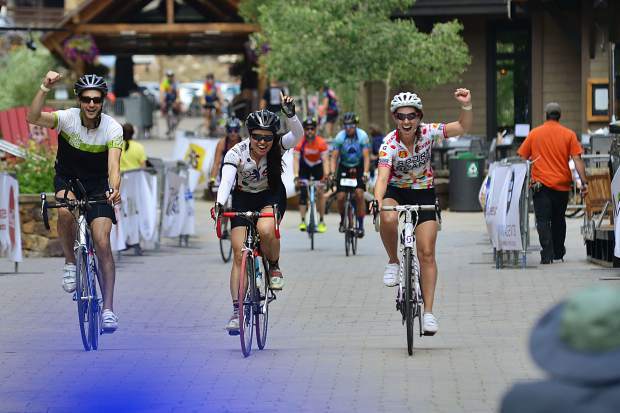 As the riders wrapped up Sunday, she added that they’d likely reach their goal this year of adding another $2.8 million to that total. Considering everything that Dunlap’s brother, 35-year-old Brandon Nuechterlein, has been through, most people wouldn’t think him lucky. 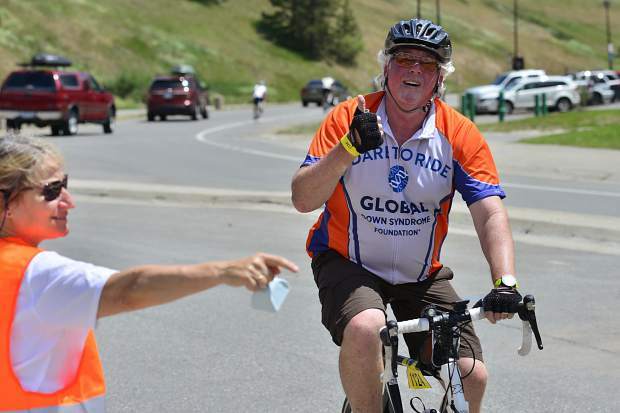 But after completing his eighth tour on Sunday — crossing the finish line with his younger sister — that’s exactly how the patient-turned-advocate feels nowadays, especially since he’s about to celebrate 20 years cancer free. The team whose name he carried this weekend — The Wheels of Justice — is united by a common enemy: cancer. With over 200 people on the team, it’s one of the biggest squads at the tour and money they raise is specifically earmarked for cancer research. For many of the riders, that is hugely important. Nuechterlein was a 15-year-old living in Thailand when he first started showing symptoms of an aggressive form of leukemia. He remembers back pain and doctors initially thinking it could be a nagging injury from him playing rugby. Then he developed a rash of fevers and he went into a Thai hospital with an infection, which doctors thought could be malaria or Dengue fever. 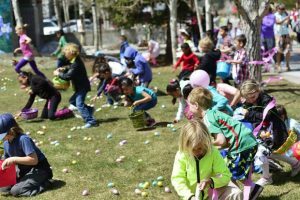 He remembered that the same doctors wanted to perform an exploratory surgery, but his parents instead opted to call Children’s Hospital Colorado in Denver, not far from where he were born. 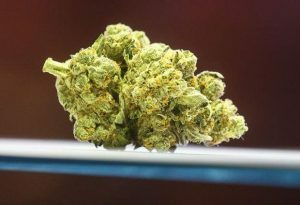 On the other end of the phone was a physician who knew almost immediately they were dealing with something very serious. At that point, Nuechterline needed a bone marrow transplant and he needed it fast. Because his mother is Thai and his father is German, finding a match was nearly impossible. 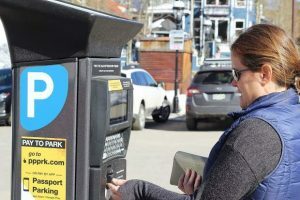 With few other options, Nuechterlein became a candidate for a new experimental treatment, which he now credits, along with the staff and doctors at Children’s Hospital Colorado, for saving his life. “They actually cloned the cord blood … and that was the fourth procedure like that that had ever been done in the world,” he said. 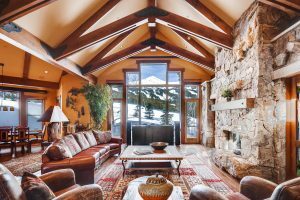 Nuechterlein was so impressed by the hospital and its staff — they “met him on the tarmac” 20 years ago, according to his sister — that he went to work for them after graduating from Colorado State University in 2009 and has been there ever since. Now he rides every year at the Courage tour in honor of what he went through, for his fellow survivors and for those who weren’t as lucky. Plus, he said, the money raised for the hospital and cancer research through the Courage Classic has become more critical than ever to the mission. Since the recession, many funding sources for cancer research have dried up, and clinical trials deemed riskier than others often don’t get pursued. He’s not alone. 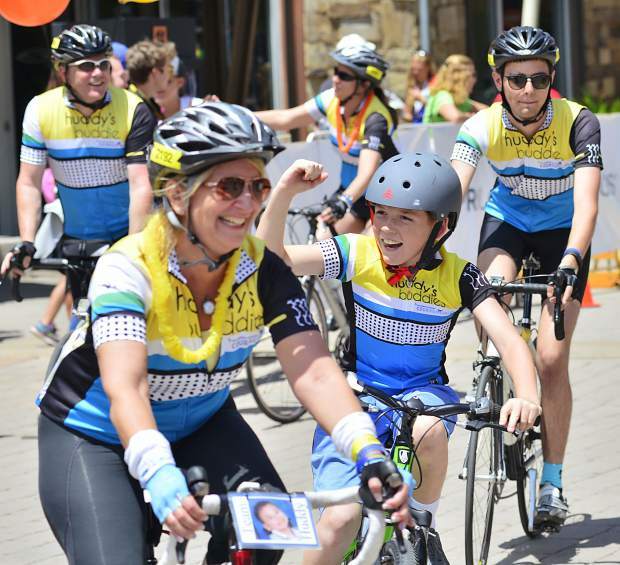 One of Nuechterlein’s teammates, 18-year-old Daniel Hailpern, has also faced a leukemia diagnoses, but like Nuechterlein, Hailpern knocked out more than 60 miles at the Courage Classic this weekend, including 40 miles on Sunday, and finished with a smile. “Exhaustion and happiness for it being over,” he said of what he was feeling in the moment before saying it was really just happiness. 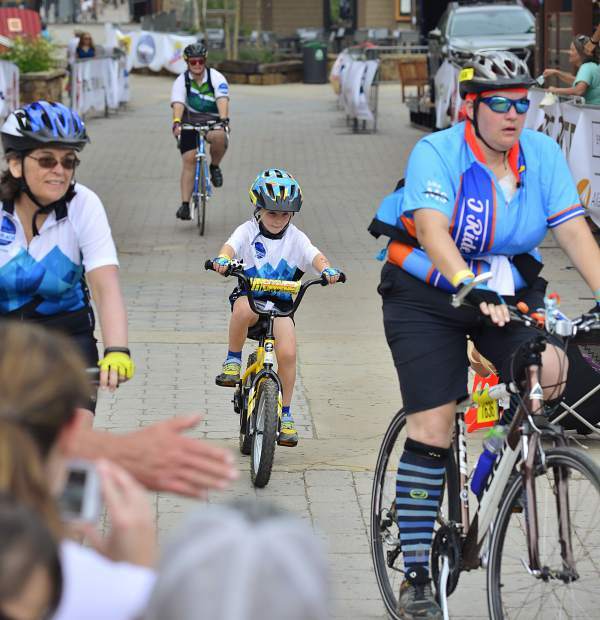 For Hailpern, riding in the Courage tour is his way of giving back to the hospital for all that they’ve done for him.